6th sides on both of the recordings are really funny in a weird way. 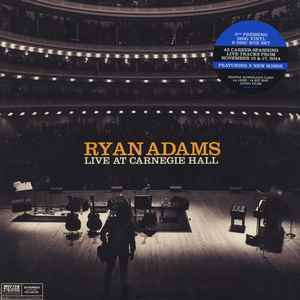 There are just like 25 minutes of looped ovation with Ryan Adams chatting something over it like: "Wow, what a dedicated fan base do I have!". One hell of a way to end these fantastic shows that include both songs and comedy monologue in between them. The performance is stunning, the concerts sound fantastic and the box-set is beautiful. A true gem, get it if you can. does anyone else have two sleeve inserts that both hinges read November 15 rather than 15 and 17?